There are those who don’t care about the needy or the physically challenged. There are those who need to be challenged and encouraged before they can lend a helping hand. There are still those who sincerely want to help but feels they are not in a position to do that or don’t have the means to do it. The last group should not exist. This is the lesson we found in the beautiful story of Peter and the man that has been lame from his mother’s womb. Peter could have passed by and silenced his conscience that he’s got nothing to give. He could have looked at the man with pity and wished he had money to give. Even the beggar, had wrongly thought what he needed was money. And so he spent several years of his life sitting down to begging for alms. It’s important to point out that most people who are physically challenged or the needy, more than often, wrongly assumes that money would solve their problem. It is wrongly assumed that money is all that is needed. This wrong assumption is transmitted to those who could have helped but sincerely feels they can’t help because they don’t have money to give. It’s therefore necessary to understand that people’s perceived need may not necessarily translate to actual need. What Peter did was to offer what he had. That is the secret of giving. God has never called us to give what we don’t have. He has however; made sure we all have something to give. Listen to the words of Apostle Peter. ‘Then Peter said, Silver and gold have I none; but such as I have give I thee:’ The wisdom is to offer whatever we have. It could be your time. It could be a smile. It could be a touch. It could be advocacy. Simply whatever you have to give. This is not to say money is not important. The fact is that we will not all have money to give. So we must learn to give whatever we have. The world will be a better place if we give what we have. The woman simply gave what she had. What the Lord requires of us is to be a cheerful giver. To be a willing giver. To be ready to give whatever we have. 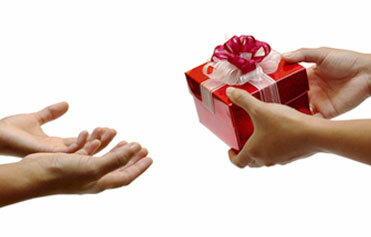 Next time you come across someone who has a need, remind yourself that you have something to give. Just saying, ‘hello, how are you today’, could dramatically change the live of someone. ‘Then Peter said, Silver and gold have I none; but such as I have give I thee: In the name of Jesus Christ of Nazareth rise up and walk.’ Go and do likewise! Join in and write your own page! It's easy to do. How? Simply click here to return to Olusegun Mokuolu's Entry Form.